If you’re looking for the best Black Friday and Cyber Monday deals 2019 for bloggers, webmasters, online business owners, you’ve come to the right page. Is Black Friday still far away? In this case, please note that the information in this post will tell you approximately which deals you can expect from the companies, tools and services you might need as a blogger. This post is based on deals offered last year and can be fully updated for 2019 only about a week before Black Friday comes. As a blogger, I always keep track of the best online marketing tools, hosting and WordPress themes offers. Every tool that can save you time or help achieve better results, costs money. When you try one tool or service today, another one month later, by the end of the year your total investment reaches quite an impressive amount. Blogging and running an online business can be costly, this is why getting the best price and deals is so important! This short season of the year between Black Friday and Cyber Monday (you can also call it the Thanksgiving weekend) is the best moment when you can find highest discounts for online marketing tools, hosting services, etc. If there is still a bit of time left before Black Friday or Cyber Monday, and you are reading this post, just save it as a PIN to your boards and get back to the list of best deals when Black Friday comes. Moving to another hosting provider or upgrading to a new hosting plan is a serious decision, as you usually pay for at least a 1-year plan. So I encourage you to take advantage of this weekend and get the best deals available for hosting! Last year I bought hosting for my own blog from Bluehost at a discounted price. I didn’t regret at all because when I ran speed tests for my site and other bloggers hosting on other providers, my site performed amazingly great. When you buy hosting at Bluehost, you get hosting + free domain name + free SSL certificate (https), now at a very attractive price. Disclosure: Some of the links in this post are “affiliate links.” This means if you click on the link and purchase the item, I will receive an affiliate commission. For more information, see my disclosures here. The same applies to premium WordPress themes. If you are running your blog on a free theme or you are fed up of your old theme and want to make a change, this is also a good opportunity to make the switch with a 70-80% discount! If you’ve been thinking to buy some online marketing or SEO tools or move from free to paid plans, just take a look at the list I made for myself to get ready and once the big sale comes, I’ll just go to my list and buy everything I need with huge savings. Are you ready to SAVE a LOT? Check my list and let me know in the comments if you found some other great deals, I’ll add them to the list too! I started an early Black Friday promo a few emails ago and I offered 5 coupons for 40% discount, 10 coupons for 30% discount and unlimited coupons with 20% off. The 40% coupons are long gone, but for Black Friday only, I decided to add 2 more coupons with 40% OFF! Ready to SAVE BIG TIME on my courses? Bluehost is the most popular hosting service. 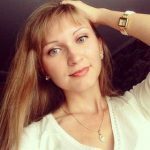 This site, anastasiablogger.com, is hosted on Bluehost for about 1 year, and I’m very happy with the site speed and their support. The interface is made so that even if you no nothing about technologies, you can set up your WordPress blog in 20 minutes (here is my video tutorial). For Black Friday and Cyber Monday, the prices will drop to $2.65/month for the Basic Plan and $4.45/month for the Plus and Prime Plans. Click the button below to get an exclusive Bluehost Black Friday | Cyber Monday discount and get started! SiteGround is another shared hosting option for beginners, and they offer a 70% discount on all their shared hosting. This provider is also very much trusted by WordPress site owners and they have quick support. If you need to move your site from another hosting, they offer you support on migration for free. Use the button below to get an exclusive Black Friday | Cyber Monday deal for SiteGround hosting! I use Divi – Elegant Themes on one of my blogs (momshealth.co if you’d like to check how it looks) and they have an Insane Black Friday Sale too! I just upgraded my account from annual to the Lifetime plan and saved about $130 today. Elegant Themes don’t offer big discounts at any other time of the year, so if you were thinking to buy a premium theme, it’s the best time. Or even if you already use it – you can upgrade to the Lifetime membership and have huge savings on your blogging expenses! 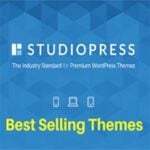 Themes by StudioPress are built on the Genesis framework is the most popular premium themes among bloggers because they are optimized for SEO and ready for site monetization. Their great support and security gives you peace of mind and keeps your WordPress sites safe from hacks. If you are interested in a specific theme, you can buy one for about $100. If you’d like to have a pro plus package and get access to every theme they ever make, this pack is also on sale during Black Friday | Cyber Monday season! I use Namecheap for all my domains because it’s the most affordable and reliable domain registrar, and they offer up to 98% OFF! If you look at the prices on Namecheap’s website and compare with your current payments for the domain, I’m almost sure you are overpaying for this service. Not to worry, Namecheap has a great support team and you can transfer your domain from your previous provider to Namecheap for huge savings in the long run. 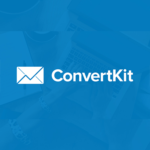 I use ConvertKit as my email marketing automation tool because it’s reliable and easy to set up. ConvertKit allows you to create pretty opt-in forms with clean design, which you add to the site. You can also create simple and efficient landing pages in ConvertKit to grow your subscribers lists faster. Six plug-and-play visual automation templates that can be copied directly into a ConvertKit account and many other goodies! Check this insane offer here – the link is available only on Cyber Monday, November 26th. I have a feeling that you are already using Social Warfare as the social media plugin on your WordPress site. If you are not, you should because it’s the best, lightest and free plugin with 100s of layouts. If you change URL and lose share count, Social Warfare allows to recover it. If you get lots of Pinterest traffic, like I do, you’ll appreciate that this plugin allows you to choose which image from the post will be shared on Pinterest. 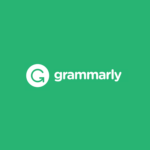 Grammarly is a must for any blogger. If you are trying to finish your post fast, it’s so easy to miss some typos and punctuation mistakes. Grammarly is not only to correct your mistakes, but it’s also the best plagiarism checker so you can make sure Google doesn’t consider your content as non-original. Click the button below for Grammarly black Friday discount deal ! I will keep track of the products offered with Black Friday | Cyber Monday 2018 deals and discounts for bloggers and internet marketers. Of course, there are tons of offers which will explode your emails but I made a list of tools that I personally use and value. I assume that this list is for someone who is already a blogger or own a site. However, if you don’t have any experience in making money online yet, you might be confused and lost. What should you buy first if you don’t have a site but you have a big dream of getting 6-figure income working from home? Here is a simplified list of first-aid tools for you. Get a basic pack of things you need to start a blog and make your investment in a blog with a 50-70% discount! Buy hosting from Bluehost. You get a pack hosting + free domain name + free SSL certificate (https) with 75% discount! To make your site pretty, buy a StudioPress theme with Genesys Framework. 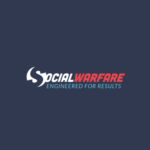 To increase your traffic, get for starters the free version of Social Warfare. Start building your email list from day one with a insane FREE year from ConvertKit. Check grammar on your site and make sure you have to plagiarism on the site with Grammarly. I believe that all these tools are a must if you want to build a successful online business or blog and there is no income if you are not ready to make an initial investment to have an optimized, beautiful site. This is the best time to make this initial investment at the lowest price for you. 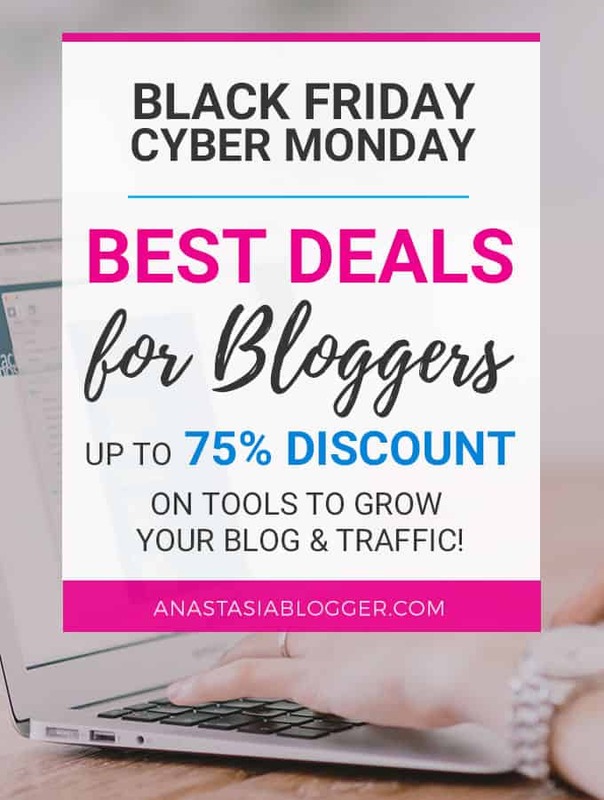 Did you find this list of Black Friday and Cyber Monday Blogging Tools Deals 2019 useful? If you share it, some of your friends might save up to 70% of some deals!